Conor O'Toole (Stewart Melville) is the 2018 Scottish schoolboys golf champion. He beat Greg McCaffer (Loretto) at the fourth extra hole - with a par - of a sudden death play-off after they had finished level on 142 over the Murrayshall and Lynedoch courses at Murrayshall House Hotel, near Perth. O'Toole had rounds of 69 and 72, McCaffer 74-67. Picture: O'Toole on left, McCaffer on right. O'Toole was the only player to break 70 over the longer Murrayshall course. The boys' team title was won for Edinburgh by O'Toole and Cameron Adam (Merchiston). 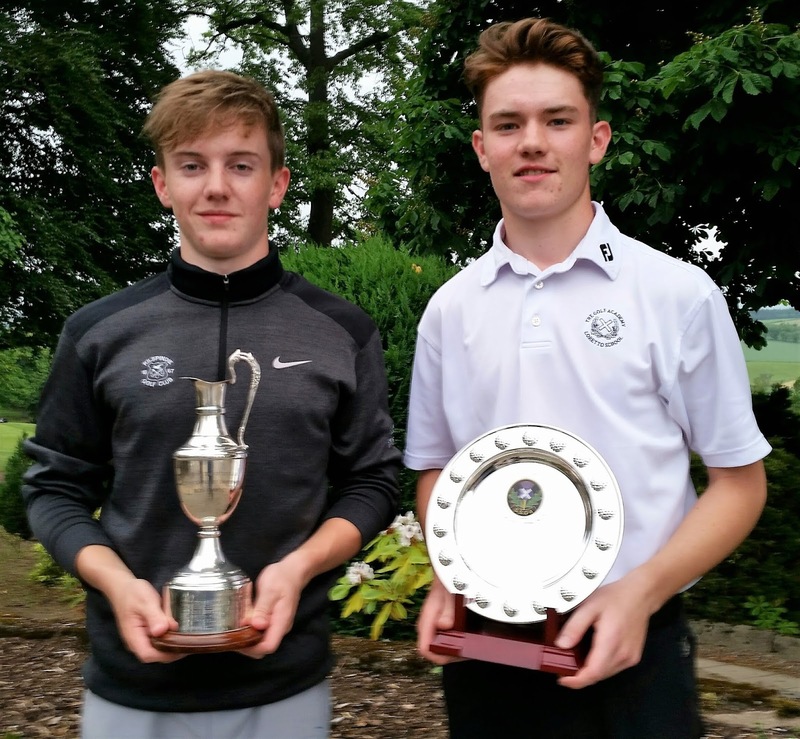 They finished eight strokes ahead of South Ayrshire.